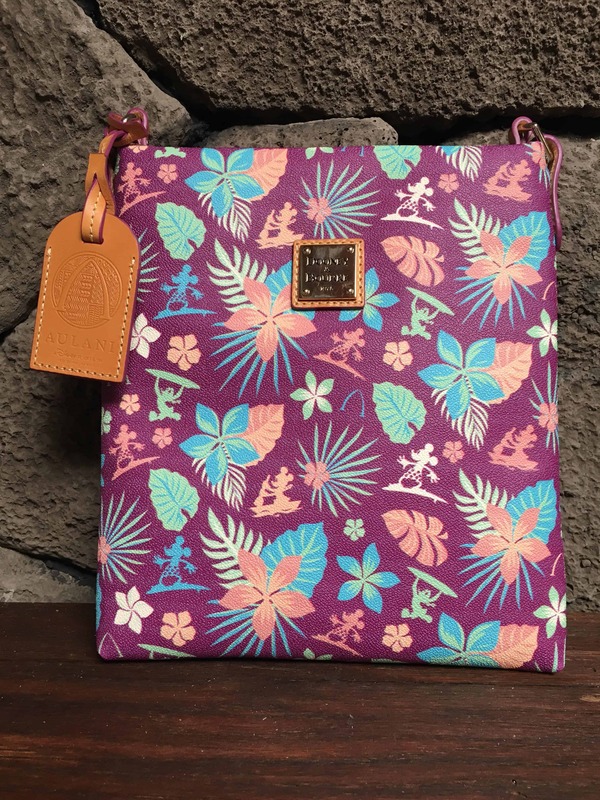 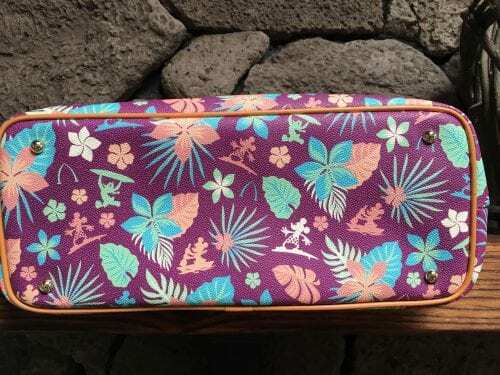 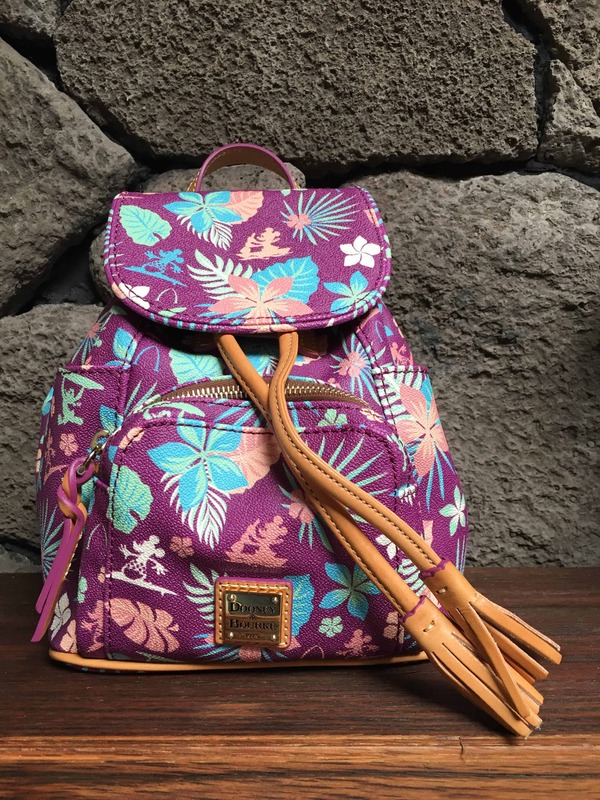 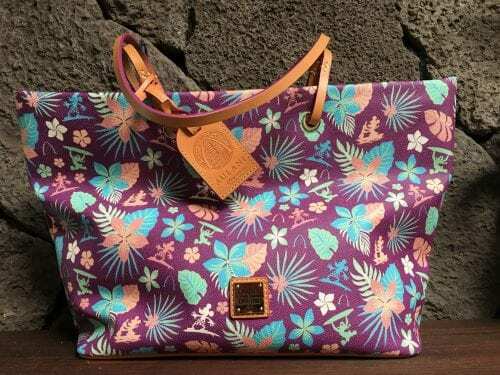 Released January 2019 at Disney’s Aulani Resort & Spa. This gorgeous print coincides with Disney’s Purple Potion campaign and features silhouettes of Mickey Mouse surfing, Minnie Mouse building a sand castle, and Donald Duck running with a surfboard, as well as the Aulani logo in pink, teal, and blue with tropical flowers against a purple background. 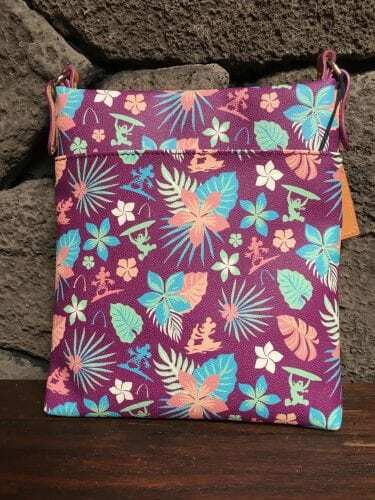 Aulani Purple Floral Tote – Photo by Susan S.
Aulani Purple Floral Tote (Back) – Photo by Susan S.
Aulani Purple Floral Tote (Bottom) – Photo by Susan S.
Aulani Purple Floral Crossbody – Photo by Susan S.
Aulani Purple Floral Crossbody (Back) – Photo by Susan S.
Aulani Purple Floral Backpack – Photo by Susan S.
Can’t make it to Hawaii? 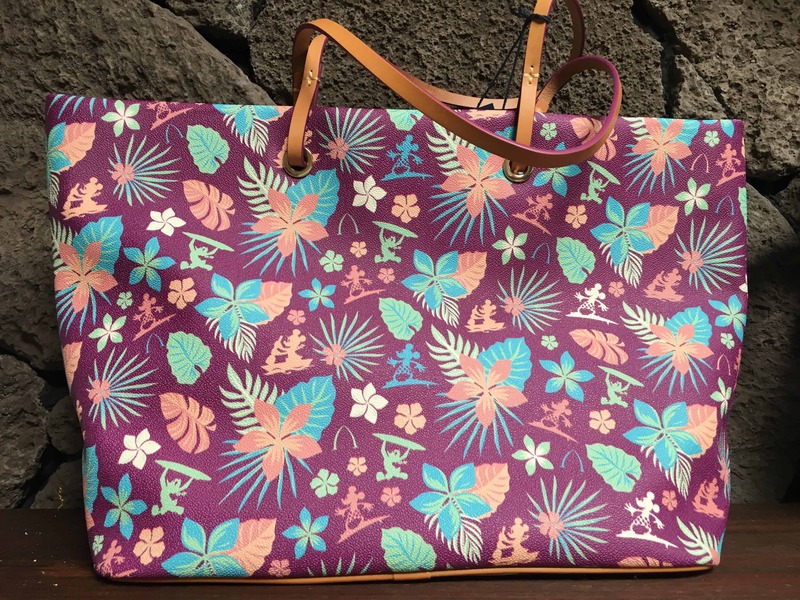 Connect with Aulani Personal Shopper Susan to arrange a pickup.